The Palram Harmony greenhouse is the next generation in polycarbonate-glazed greenhouses, using a strong aluminium frame and virtually unbreakabale transparent glazing. 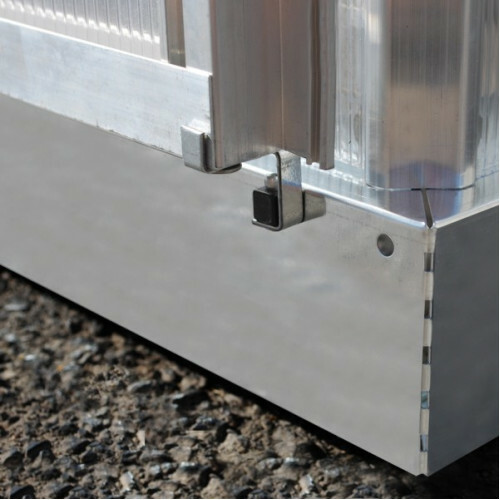 These models have a hinged door which can be hung with hinges on either the left or the right according to your requirements when installing. Ridge Height 6'8", Sides (Eaves) Height is 4'4", Door Height 5'7"
The glazing on this Palram Greenhouse is 1mm thick clear polycarbonate, which is 200 times stronger than glass, and almost unbreakable. 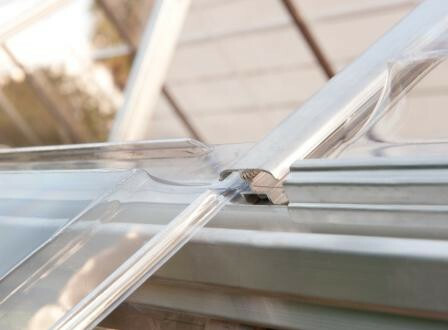 It lets in 7% more light than glass and cuts out more than 99% of harmful solar UV rays. 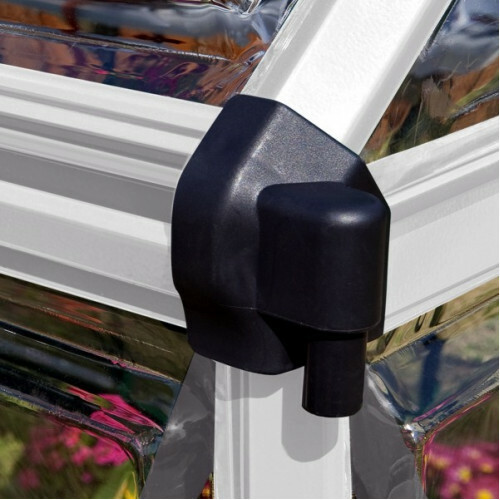 This is probably the safest greenhouse glazing available, and therefore ideal for areas where children or the general public have access. However, please note that polycarbonate differs from glass in that it is lightweight and not rigid, and this means that any polycarbonate greenhouse is not as strong as a glass greenhouse - therefore please be aware that this greenhouse is not able to withstand the same wind speed as a glass-glazed one. 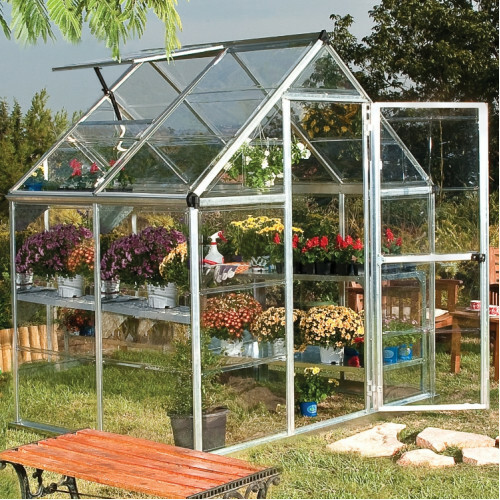 This greenhouse is simple to construct using the comprehensive instructions - our best advice is to allow plenty of time, read the instructions fully before commencing, and have the area flat and level in advance. 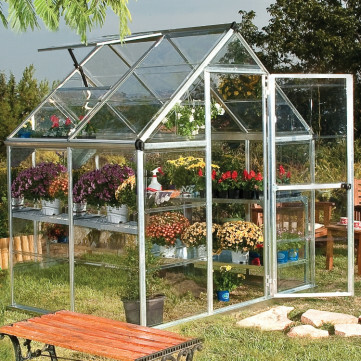 Whilst it is possible to complete this greenhouse in just a few hours, we recommend that you allow a complete weekend.